It's still a bit hard to believe that Blizzard is finally approaching the release of the sequel to one of the best RTS games known to man. Although the closed beta is still in its early life, it's easy to see how this is one of the most anticipated games of 2010. I've had the pleasure of test driving the game for nearly two weeks so read on for some early race details. If you're familiar with the original Starcraft, you'll immediately feel right at home the moment you step into your first game. If your system is capable (most are), you'll find yourself lost in so many of the small things Blizzard took time to refine. The environments are incredibly rich and detailed and the unit models are even more so. 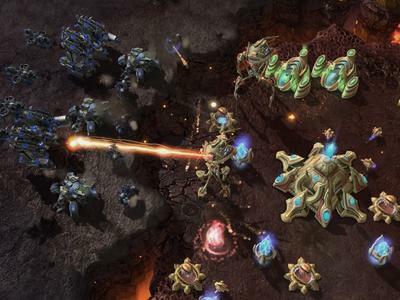 The goal of Starcraft is simple – kill or be killed – and it's never been more satisfying. larvae onto your hatcheries, laying creep eggs that spread your creep further, or healing buildings with her energy. The Zergling, Hydralisk, Mutalisk, and Ultralisk all make their return for the sequel joined by the Roach, Baneling, Infestor, Corruptor, and Broodlord. The Roach is a ground-to-ground unit with the capability to move underground while burrowed. Banelings are morphed from Zerglings as a replacement to the first game's Infested Terran that suicides for some insane splash damage. Infestors rely on energy to either disease a group that deals 100 damage but cannot kill units, neural parasite that allows for a brief mind control of a unit for 10 seconds, or spawn Infested Marines that die after a period of time. Corruptors are air-to-air units that can use energy to corrupt an enemy building that renders it useless for 30 seconds. Finally, the Broodlord is morphed from Corruptors and spits Broodlings that attack ground units. existing supply depot. The Planetary Fortress has no energy abilities and cant lift off but it can help defend your base with its huge gun cannon. 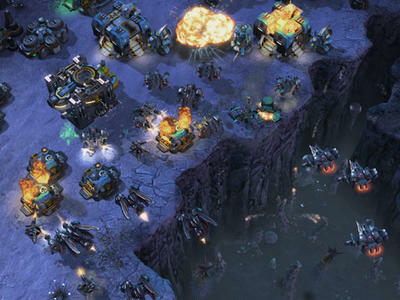 The most familiar units like the Marine, Ghost, Siege Tank, and Battlecruiser make their return along with a hefty amount of newcomers like the Marauder, Reaper, Hellion, Thor, Viking, Medivac, Banshee, and Raven. The Marauder is a ground-to-ground beast that shoots long-range missiles which slow enemy movement. Like Marines, they can use Stim Pack for speedy attacking. The Reaper can jump ledges, attack only ground units, and do massive damage to structures. The Hellion is the replacement to the vulture with a flamethrower that does splash damage. The Thor is one huge beast with a Schwarzenegger voice that attacks ground and air units. The Thor can deal 500 in six seconds for 100 energy. The Viking is an air-to-air unit with huge range that can land and transform into ground-to-ground gunners at will. Medivacs replace the Dropship and Medic, allowing them to follow behind and heal units while overhead. The Banshee is a long-range air-to-ground unit that can be cloaked in exchange for energy. Finally, the Raven is most similar to the Science Vessel with the ability to detect cloaked units and energy which can be used for its hunter-seeker missile that does splash damage, an auto-turret that's placed on the ground, or a point defense drone that intercepts nearby enemy fire. The Protoss operate in much the same way as the first with probes warping in structures as they please. 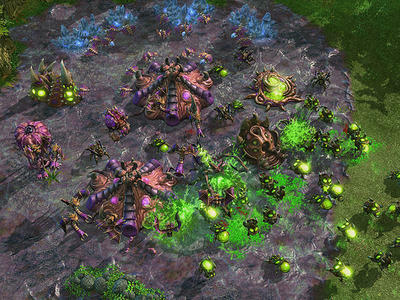 The coolest feature that sets them apart is the ability to warp in units from Warp Gates anywhere there's Pylon power. This means Zealots, Stalkers, Sentries, High Templar, and Dark Templar can warp in anywhere with a four second build time. Gateways are transformed into Warp Gates which have a cool down of 23 seconds each warp in. Traditional units like the Zealot, High Templar, Dark Templar, Archon, Observer, and Carrier fight alongside the new Stalker, Sentry, Warp Prism, Immortal, Colossus, Phoenix, Void Ray, and Mothership. Dragoons have been replaced by Stalkers with the ability to teleport short distances (think up ledges and away from enemies). Sentries are ground units that use a focus beam to attack with energy that can be used to create force fields to block ground enemies, hallucinations of most Protoss units for distraction, or a field of energy around it which reduces incoming ranged attacks by two damage. The Warp Prism can carry units or transform into a floating Pylon to power buildings or warp in additional units. The Immortal is a ground-to-ground Stalker on steroids with a shield that absorbs high damage attacks like those from Siege Tanks. The Colossus can walk up and down ledges with a high ranged laser that attacks ground units. The Phoenix is an air-to-air unit with the capability to lift an enemy ground unit into the air to be attacked. Void Rays use an energy beam that increased in damage the longer it's focused on a single target, perfect for destroying structures. Finally, the Mothership is the biggest unit in the game that cloaks all nearby friendly units and structures and can recall a group of units to its location or create a black hole that temporarily disables units inside. 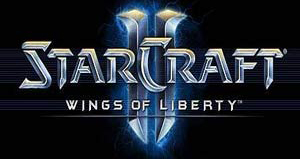 Were you a fan of the original Starcraft? Which race was your favorite? Excited about any new units? Share the love in the comments.